Last week’s by-election in Canada saw Buthila Karpoche, a Tibetan-Canadian member of the New Democratic Party, securing a seat at Queen’s Park, thereby becoming the first member of the Tibetan community elected to public office in the Americas. Ms Karpoche, who moved to Canada from Nepal at the age of 18, is part of the 4,000 Tibetans living in the city of Toronto, one of the many communities of exiled nationals of this Asian country through which the Tibetan culture, history and way of life has been preserved. Bhutila Karpoche made history Thursday [7 June 2018] night, becoming the first Tibetan ever elected to public office in North America. The rookie NDP candidate won the Parkdale-High Park riding by a wide margin, securing nearly 60 per cent of the vote. The crowd chanted “BHU-TI-LA! BHU-TI-LA!” as she entered her campaign's victory party at The Rhino on Queen St. W.
After thanking her volunteers and supporters, Karpoche reflected on how her family was welcomed into Toronto's Little Tibet 15 years ago. Parkdale-High Park has been in NDP hands since Cheri DiNovo won a by-election for the riding in 2006. DiNovo won three more terms before leaving politics earlier this year to become minister at Trinity-St. Paul’s Centre for Faith, Justice and the Arts. Karpoche spent eight years working for DiNovo, first in her constituency office and more recently as her executive assistant at Queen’s Park. 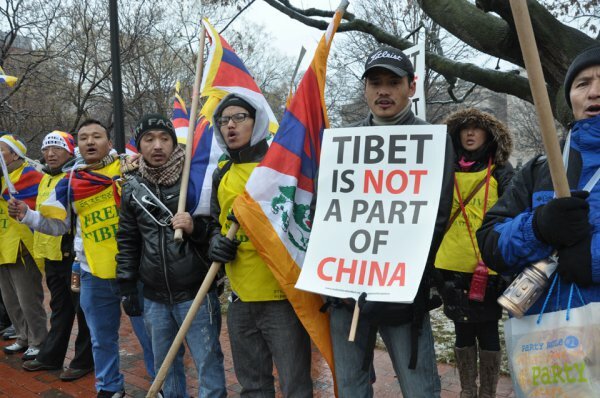 DiNovo had wanted to add a Tibetan speaker to her staff to better liaise with Parkdale’s large Tibetan population, so she asked organizers with Students For a Free Tibet if they knew anyone who might be interested. Karpoche arrived and quickly became indispensable, DiNovo said. Karpoche, 34, moved to Toronto from Nepal when she was 18, settling into Parkdale, where she became a community organizer. She is fluent in four languages — English, Tibetan, Nepalese and Hindi — and is a PhD candidate at Ryerson University in public health policy. DiNovo was highly regarded for her bipartisan and tripartisan efforts at Queen’s Park, where she passed the most private-member’s bills and three-party bills in Ontario’s history. Also running were Liberal Nadia Guerrera, Adam Pham for the Progressive Conservatives, Halyna Zalucky for the Green Party of Ontario, and Matthias Nunno and Jay Watts for the Libertarian and Communist parties, respectively.